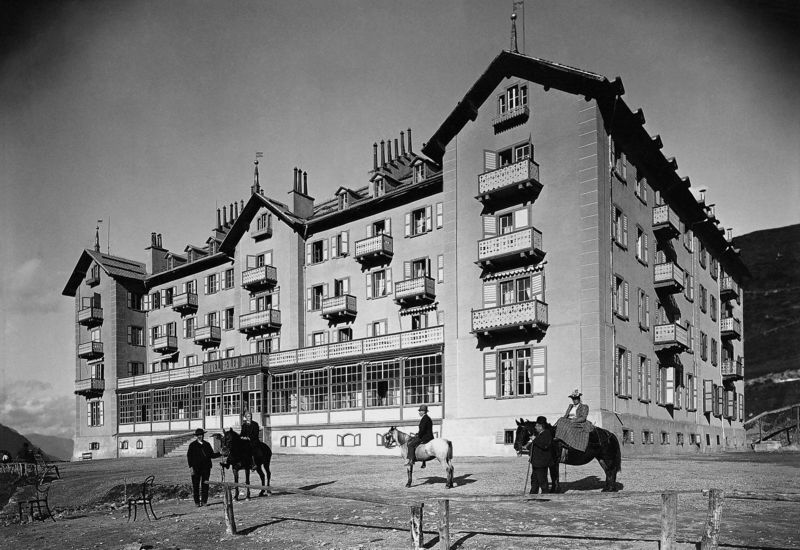 The hotel pioneer Alexander Seiler (1819–1891) recognised early on the potential of this spot. He bought the first parcel of land as early as 1856. 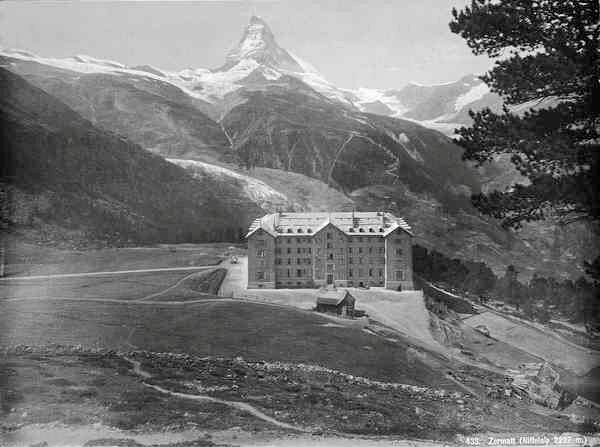 Construction of the first hotel with 150 beds took place from 1878 to 1884 – before the opening of the Gornergrat Bahn. In other words, everything had to be carried up by mule. 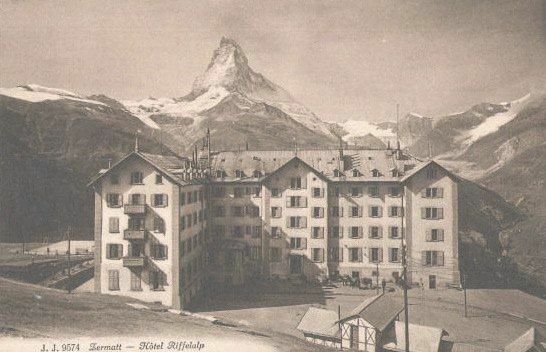 The hotel was extended in 1890 to increase the capacity to 200 beds – and once again a few years later, to 280 beds. As the hotel wanted to offer guests every possible comfort, it built the Riffelalp tram. Inaugurated in 1899, this is said to be the shortest and highest-altitude tram line in Europe. 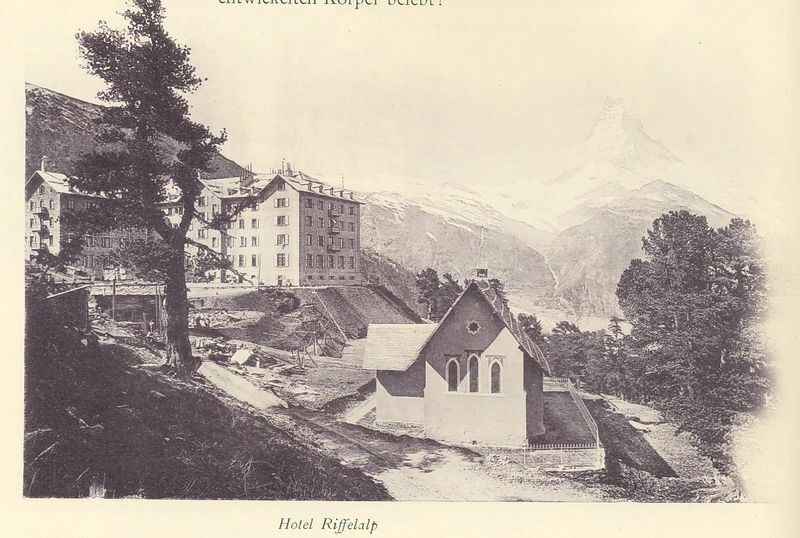 Following a major project of renovation and extension from 1998 to 2000, the hotel was reborn as the Riffelalp Resort 2222 m.
“Climbing the Riffelberg – Riffelberg-Besteigung”, by Mark Twain, published by Verlag Dorfpresse, 8135 Langnau a.A., 1967, bilingual English/German. ISBN 3-905480-02-6. Available from the ZAP bookshop in Zermatt.